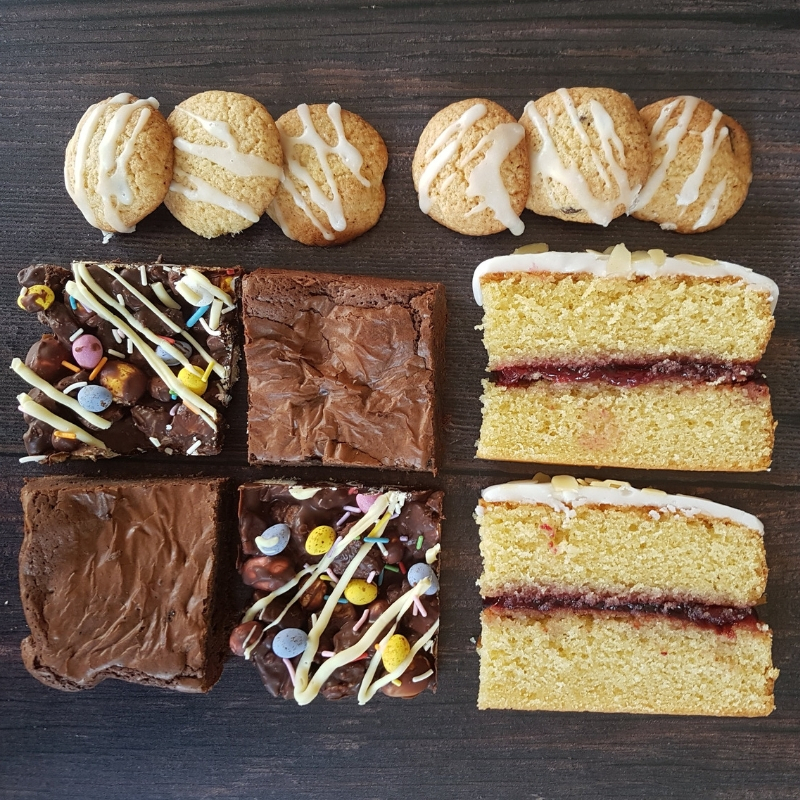 Eight portions of baked loveliness (Two cakes, four brownies/bars plus two packs of biscuits/cookies) beautifully presented. Please note box dimensions are 335mm x 230mm x 23mm so may not fit through your letterbox. Shipped free (UK only). Hurray! Please remember that all gift boxes are dispatched on/around the 22nd of the month with our subscription boxes. If you add a message at checkout then we will include a complimentary card. If you would like us to send the card ahead of the box to arrive for a specific date then please make this clear at checkout.